There are undoubtedly plenty of venues on Mass Street to listen to live music (such as here and here), but what about purchasing music? Enter Love Garden Sounds. 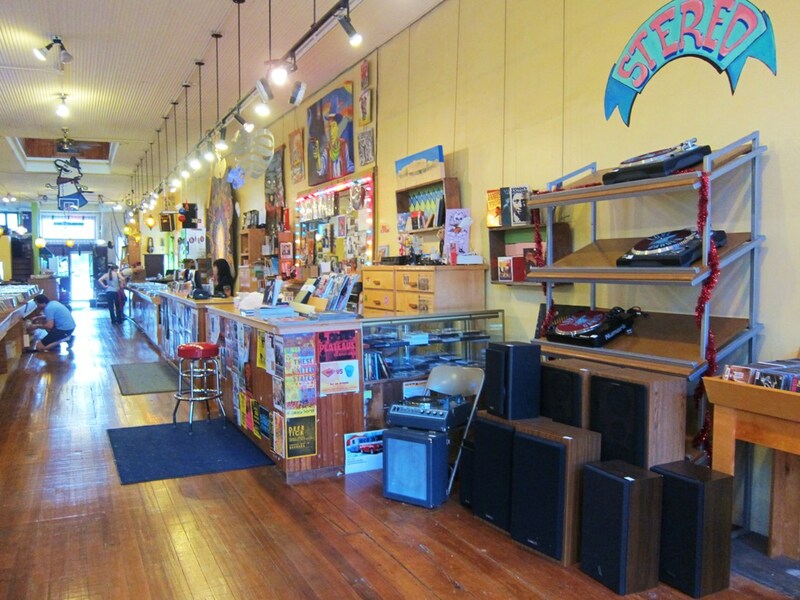 This pretty little shop buys, sells, and trades new and used LPs, CDs, tapes and even stereo equipment. They cover an impressive spectrum of genres, ranging from indie rock to country; classics to heavy metal. I’ve also heard that you can listen to anything you’d like before you purchase (for quality assurance). Meow? Love Garden loves cats. Wood floors, LPs, bright lights. Shoppers beware, cool cats roam the store, and more often than not you’ll find one taking an afternoon nap in the front window as you pass by (or, in my case, that cat is the reason you bopped in). 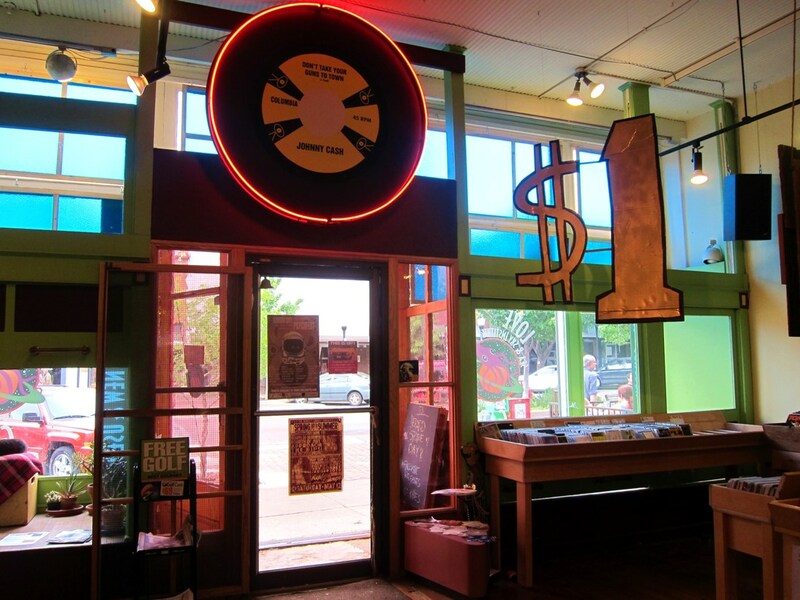 The space inside is perfect for hosting a groovy music shop: the creaky wood floors, the relaxed atmosphere, the kitschy decorations. It’s difficult to resist. 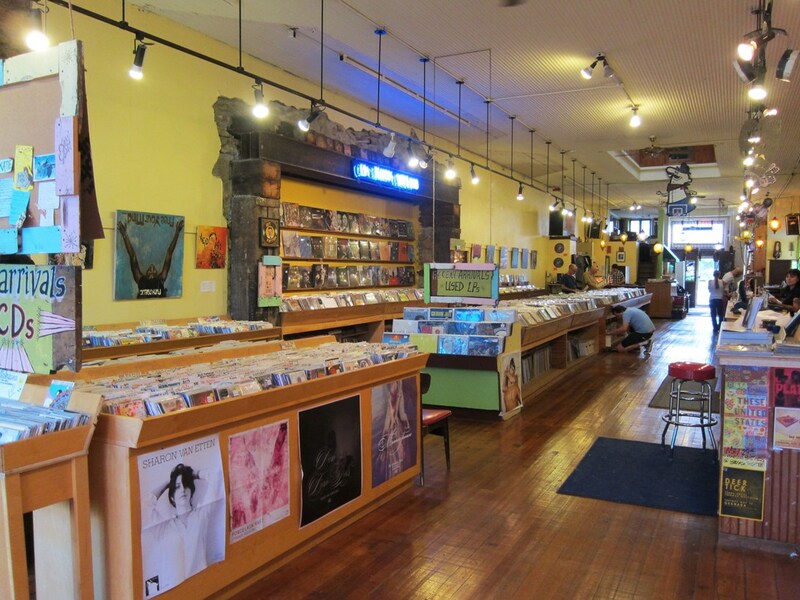 Plus, there’s such a visceral satisfaction involved in flipping through LPs as compared to surfing iTunes. Apples and oranges. 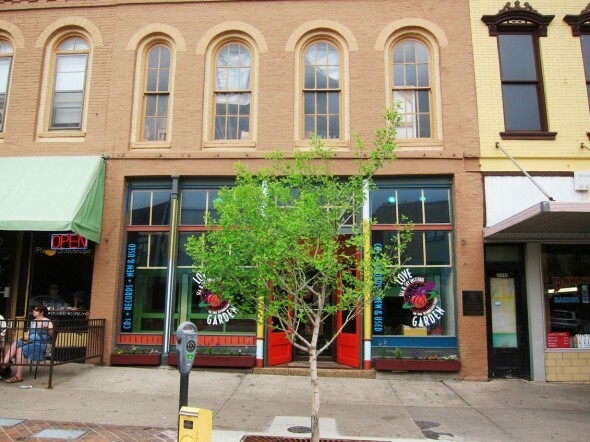 We’ve bought our share of LPs from Love Garden – both new and used (Mingus Ah Um; Carolina Chocolate Drops; Stevie Wonder) – and we’re very pleased with the quality of the LPs we’ve brought home. The prices in Love Garden are across the board, too, so no need for sticker shock here. Overall, it’s a great store to stumble into, if only to experience the space. Good luck leaving empty handed though! This entry was posted on Tuesday, May 22nd, 2012 at 4:12 am. 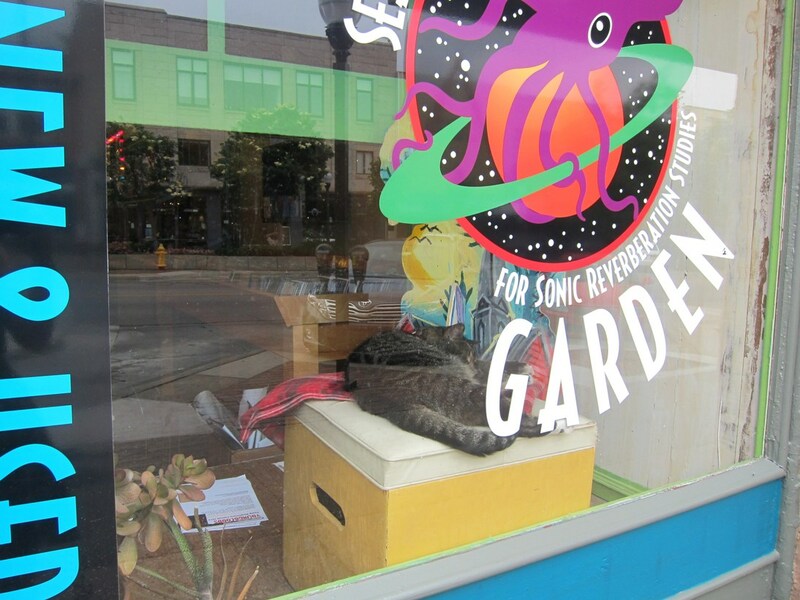 It is filed under Businesses and tagged with cats, Love Garden, music, shopping. You can follow any responses to this entry through the RSS 2.0 feed.